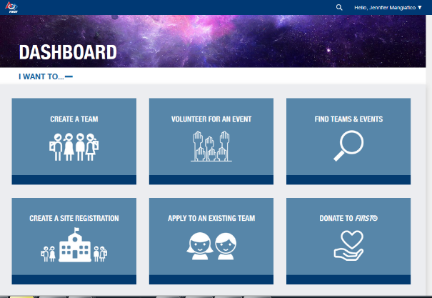 We are excited to announce the release of the NEW Team Registration portion of our website, which will replace the existing Team Information Management Systems (TIMS)*. With this change, the need for four separate program Team registration systems goes away – the new team registration is now an extension of firstinspires.org website. Optimized experience for both desktop and smartphone browsers. FIRST LEGO League Jr. on August 1st. All existing user accounts will remain the same, and all existing teams will be rolled forward to the new season as we normally do at this time of year and will be accessible from the new site. View example pages from the new site here. Other FIRST sites are not changing at this time – but stay tuned as we continue our journey to improve the FIRST digital experience!